In these hectic modern days, everyone has technology on them at all times. We have our phones, smartwatches, tablets, even laptops, to help keep us connected to work, friends, and family. But we can also utilize all this technology to help us relax and be mindful. 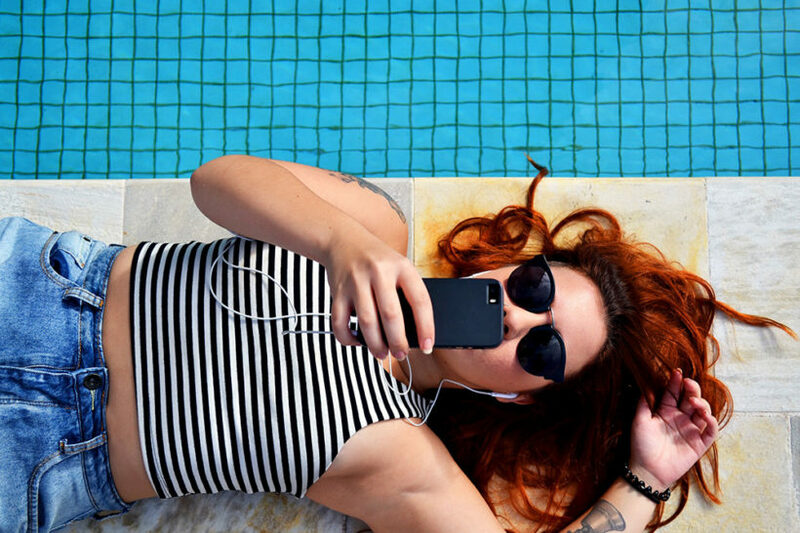 While you may not be interested in investing in a mindfulness or stress tracker, there are plenty of free and affordable apps available to help. 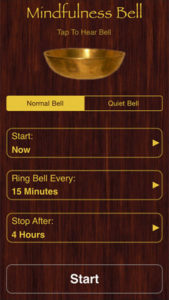 A simple and easy option are mindfulness bell apps. Mindfulness bells are used to remind you of your goal and intention to be mindful. While you can easily purchase a chime, bell, or singing bowl to use on your own when you meditate, the purpose of these apps is a little bit different. Most of them are designed to either chime randomly or at scheduled intervals throughout the day. When you hear them go off, it reminds you to pause, check in, and be mindful. 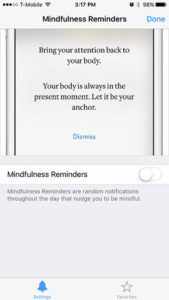 There are lots of mindfulness bell apps available on iOS for use with iPhone, iPad, and the Apple watch. In this article, we round up the best ones available for any budget. This is a simple, no-frills app that offers what you want at a great price (free!). The way the app works if you turn it on and it will give you random mindfulness reminders throughout the day. You can set it to automatically turn off at the end of the day (so it doesn’t wake you up at night). It’s also compatible with Apple Watch, so you can get your reminder on your wrist. Unfortunately, if you want more control, like the ability to set quiet hours without turning the app off completely or the ability to automatically have it silenced during calendar events (like meetings), you will have to pay to upgrade to the full version at $2.99. If you’re looking for a basic, free, random mindfulness bell, this app will give you what you need. It’s a great way to remind you to take a breath and check in, especially if you’re having a stressful day at work. The Zazen app features two great modes that you’ll appreciate. The first is a meditation timer that you can customize by meditation length and will ding to let you know the session is over. The other mode is the mindfulness bell which can be set either to play a one specific time each day or at time intervals of 1, 5, 15, 30, or 60 minutes. The Lite version of the app comes with two sound options, or you can buy a custom sound pack for $0.99. The app itself looks a little dated and could use a visual refresh, but when we tried the Lite version everything worked perfectly and the bells were calming, not jarring. This app is available in a free (Lite) and a premium version. The premium version is priced at $1.99 and includes options for interval alerts during your meditation and random bells throughout the day. If you’re looking for a meditation timer and mindfulness bell app in one, Zazen is a great option. 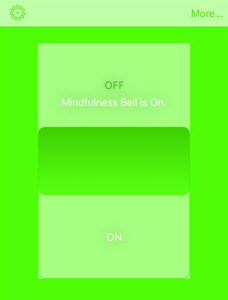 This is not one of the traditional mindfulness bell apps, but the concept is the same and it’s a cool app to consider. The main feature of the app is a daily quote paired with a beautiful photo. You can look at them in the app or have it send you a push notification when the next quote is available. This app also features mindfulness reminders. If you enable the mindfulness reminders, you can have up to 5 reminders pushed to you per day with the choice of four sounds (bell, bird call, gong, or meditation bell). The simple reminders will help you bring your mind back to the present moment and check in. The app is free but it’s supported by ads that can be turned off at any point by upgrading to premium. This is another great app option. You can set it to ring a Tibetan singing bowl at specified or random intervals throughout the day. 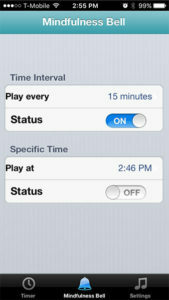 You have the option of a normal or quiet bell and can set the notifications to stop after a specific period of time. This app does require you to set it up each day, but the bells will ring in the background, even if the app isn’t running. These bells are great to use a reminder to pause and breathe or even as a reminder to get up and walk around if you sit at a desk all day. Either way, it gets you to check in with your body and your mind. Looking for more apps to help your mindfulness? Check out the best guided meditation apps and apps for relaxation and stress relief.